From Walt Disney Animation Studios comes Moana, an epic adventure about a spirited teen who sets sail on a daring mission to save her people. Moana (Auli'i Cravalho) is the daughter of the chieftain of Motonui, whose people believe that sailing beyond the reef of their island is too dangerous to risk. 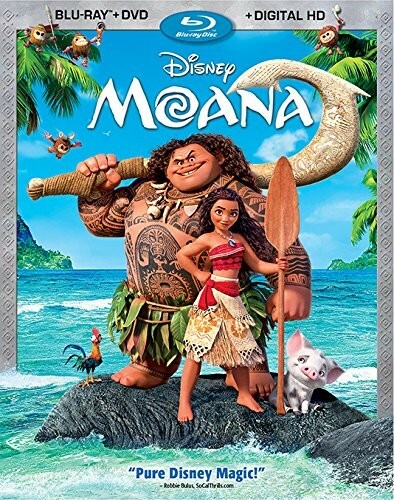 But Moana has always felt the ocean's call, and when Motonui's natural resources start to crumble, she remembers a legend about how the demigod Maui (Dwayne Johnson) stole island goddess Te Fiti's heart -- and decides to defy her father's warnings to find Maui and demand he help her return it. She convinces Maui to teach her how to sail and to help her in her quest, but will Moana manage to make it safely past the lava demon Te Kā in order to return Te Fiti's heart, or will the corruption from Te Fiti's loss destroy Moana's beloved ocean and her island home? 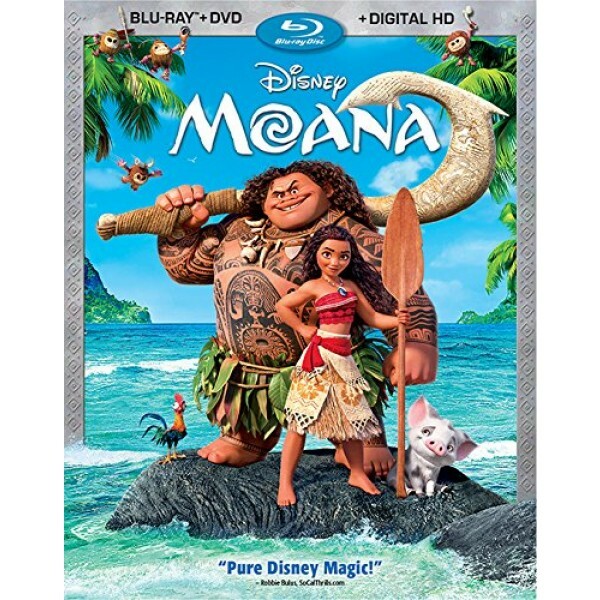 This Blu-Ray, DVD, and digital copy combo pack includes multiple special features, including the Maui mini movie "Gone Fishing" and information about how the culture, legends, and people of Oceania inspired the filmmakers.